We love the Beetlejuice-y vibes of our new Striped Hi-Lo Dolly Dress! It's perfect year round, worn by itself or with layers! It's fully lined, has adjustable straps and a waist sash that you can tie in the front or the back. 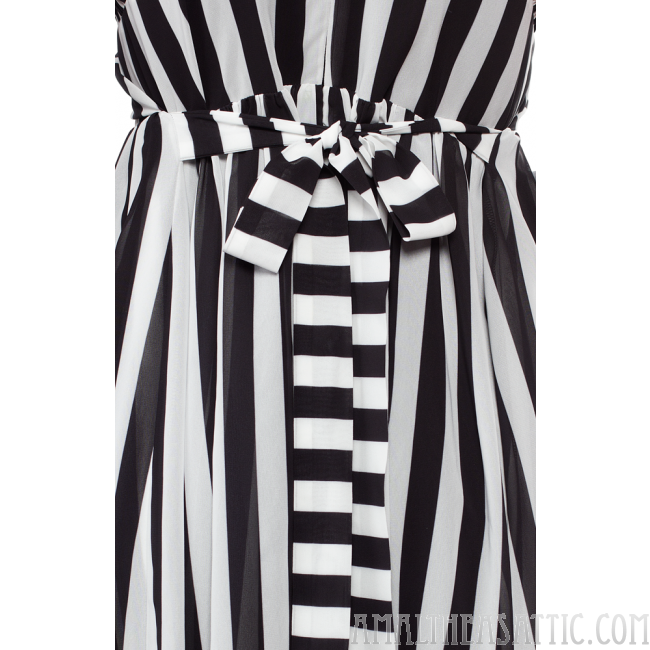 We love the Beetlejuice-y vibes of our new Striped Hi-Lo Dolly Dress! It's perfect year round, worn by itself or with layers! It's fully lined, has adjustable straps and a waist sash that you can tie in the front or the back!